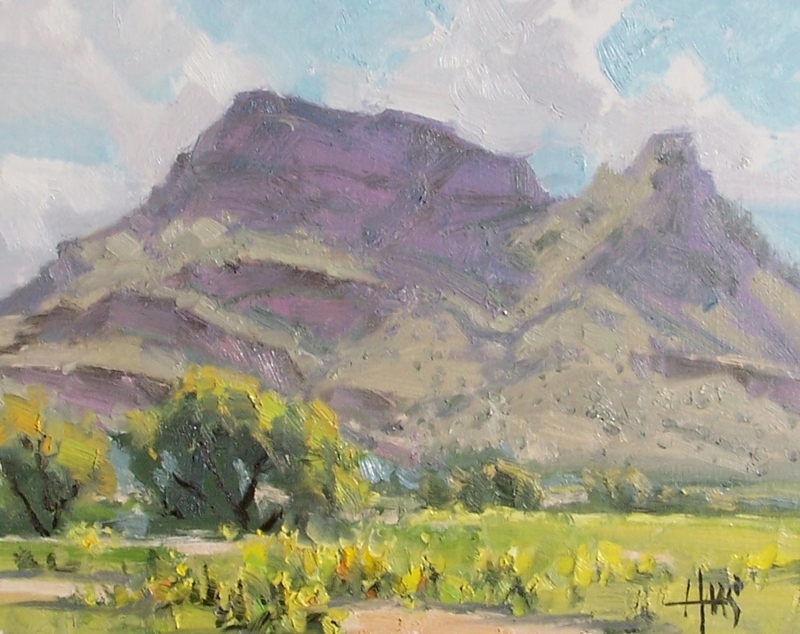 LOOKOUT MOUNTAIN is one of the smaller units of the Phoenix Mountain Preserve. PINNACLE PEAK is a granite summit in far-north Scottsdale, Arizona, measuring 3,169 feet high at its peak. When the weather isn’t as lovely as it was on these mid-December days, wind, snow, rain and bugs can be some of the challenges plein-air painters experience. In Sedona, Arizona, a couple of curious skunks pushed Tom’s paint box over a ledge. In Wyoming, a large buffalo walked up behind him then jumped over fence! There was the time the trail to his van covered with snow while he worked under an umbrella; the times he painted from the back of his van for shelter from sunshine that turned to misty rain; and the wildlife that came to share his space including bear cubs followed by mama requiring a hasty retreat. 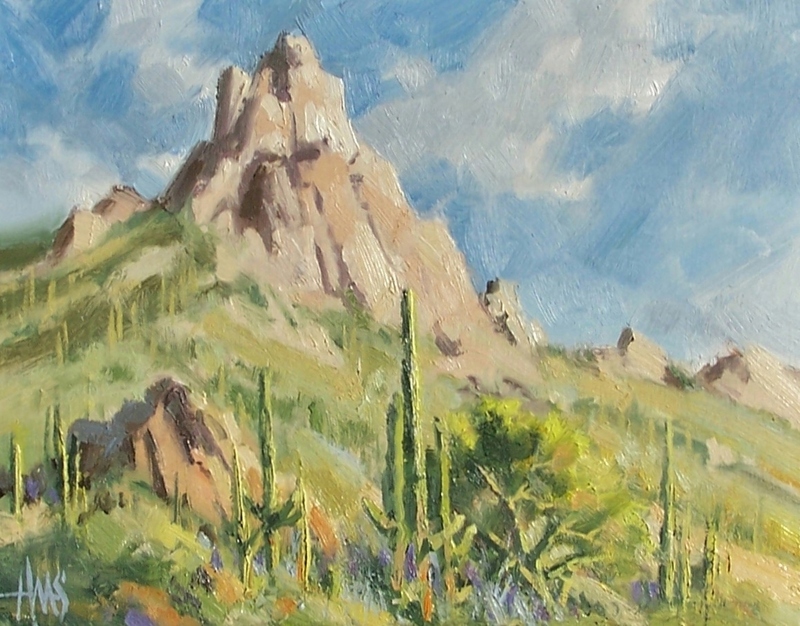 This entry was posted in Landscape and tagged Arizona, Notes, Plein air, Small paintings. Bookmark the permalink.